Ms Gladys Mugambi (right), Head of Nutrition, Ministry of Health, Kenya, congratulating Ms Esther Atieno for winning the Smart Food cooking show contest. 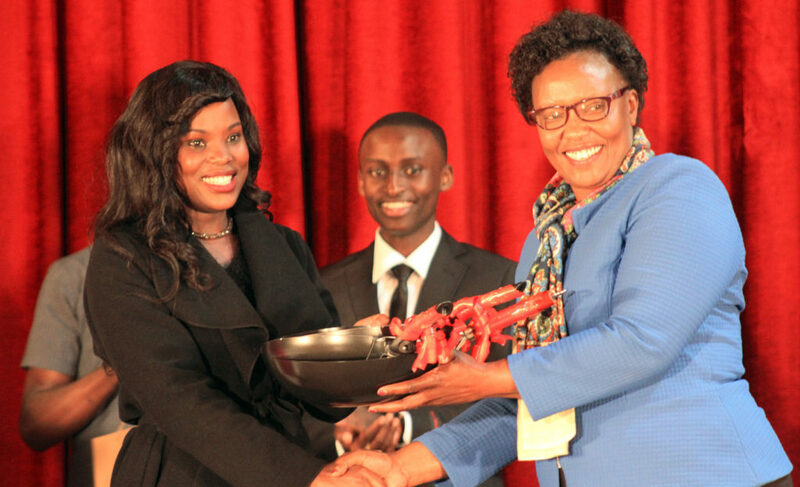 Thirty-year-old Esther Atieno is the winner of the recently concluded Smart Food cooking show – a 13-episode reality TV show that was hosted by the Kenya Television Network (KTN) on Sunday evenings. Esther, who is a trained waiter and caterer, was crowned winner and won the title ‘Smart Chef’ during the finale of the show on June 4, 2017. 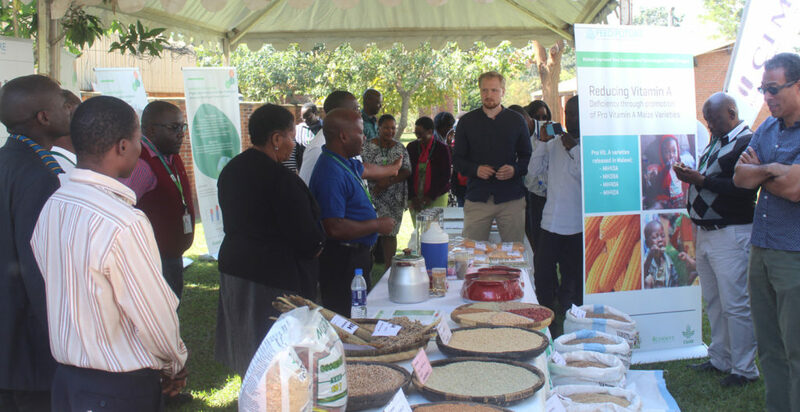 The Smart Food show is a joint initiative of ICRISAT and the Kenyan media whose aim is to raise awareness on drought-tolerant crops (sorghum, millets and legumes), educate the public on their nutritional value and demonstrate different interesting ways of cooking them. The show was a success and attracted a rating of 800k viewership per episode. In the Q&A below, Esther talks about her experience on the show. Q: How did you find out about the Smart Food show? A: I learned about the Smart Food show on Facebook; I was online one day when I stumbled upon a shared post by Susan Kamau, the TV host. It was a call for auditions for a cooking show. Having grown up watching Susan Kamau on her cooking shows on television, I knew the show would be a great learning experience. I was excited, but not quite sure if I wanted to be part of the show. I later consulted my friends and family, and they encouraged me to sign up. Q: Why did you sign up for the competition? I would cook and take photos of the meal and share them on my social media pages. The feedback I got from my followers encouraged me to make more meals and post them online. I decided to sign up for the show because I wanted to share my skills with the world. Winning dishes: (L to R) Finger Millet & Green Gram Crepes, Cowpeas & Grilled Rosemary Duck, and Sorghum & Avocado Bruschetta. Q: Who inspired you to start cooking? A: My mother has been my biggest inspiration in my cooking journey. I have been cooking for as long as I can remember. I grew up in a small town in West Kenya called Oyugis. Being a girl, one doesn’t have a choice when it comes to kitchen duties. My mother taught me from a very young age how to cook different meals. By the time I was nine years old, I had learned how to make ugali (a dish made of mostly cereal flour cooked in boiling water or milk to a stiff consistency). Q: Did you think you had what it takes to win? A: I never doubted my ability to cook. I look at it as a gift from God. I signed up for the show with a very positive attitude. I was very confident on the audition day and my confidence earned me a call back from the judges. I knew I would emerge victorious if I trusted my capabilities. Q: Tell us about your experience in the show – with the judges and the other contestants. A: The experience was very challenging for all the contestants. Most of us were clueless about Smart Food, the judges were expecting the best from us, besides that, we had very little time to come up with interesting dishes. If we didn’t we would get eliminated. Having to work in groups was also challenging, everyone is different, and misunderstandings were a norm. The judges were very helpful despite being strict; they instilled knowledge in us that is not easy to come by. As days went by, Smart Food grew on me. I previously did not know about the nutritional values of these foods and therefore was not utilizing them as much. Q: How did you perceive the Smart Food before? A: When I signed up for the Smart Food show I knew it was about cooking, but I wasn’t expecting that we would be expected to use “smart food” as the main ingredients during the competition. Growing up, I consumed finger millet porridge and sorghum ugali. I was not very enthusiastic about these meals. I thought they were very traditional, not tasty, boring and that only old people should consume them. Q: Has your perception of these foods changed? A: When the show began, I only knew how to make beverages, ugali and soups using Smart Food. I had no idea that finger millet can be used in more ways than in just beverages. The most fascinating thing about Smart Food is that they are locally available and very delicious when prepared. Smart foods are very nutritious and very affordable. A: Winning the show is a dream come true, not only do I get the Smart Chef title, I also get to enroll in the Strathmore University, Nairobi, Kenya, for a culinary arts course. I have always wanted to study culinary arts, but I wasn’t able to. I have a certificate in food and beverage service which I opted for because I didn’t qualify for a culinary arts course. I always dreamt of studying. Getting the opportunity at the prestigious Strathmore is very humbling. Q: How has the experience enriched your life? A: The show has landed me opportunities I wasn’t expecting. From the show, I have received invitations from people who want me to cater to their events, the most exciting opportunity was from two diabetic patients who hired me to make meal plans for them using Smart Food. I am very grateful because I get to do what I love most and make a living out of it. I am now fully in the catering industry, and I hope to expand my business soon. Q: What do you look forward to after the competition? I am passionate about diversifying meals, and I would love to impact the world differently with Smart Food and the skills I gained from the reality TV show. I am looking forward to educating the world about healthy eating. I am also looking forward to more opportunities that may come up. Q: Will you cook more Smart Food at home? I am already cooking Smart Food in my home. My 10-year-old son enjoys the peanut soufflés that I make him after school. Iam also learning how to make more pastries with finger millet, sorghum and pearl millet. I started making Smart Food dishes for my relatives during family gatherings. Contestants of the Smart Food cooking show. 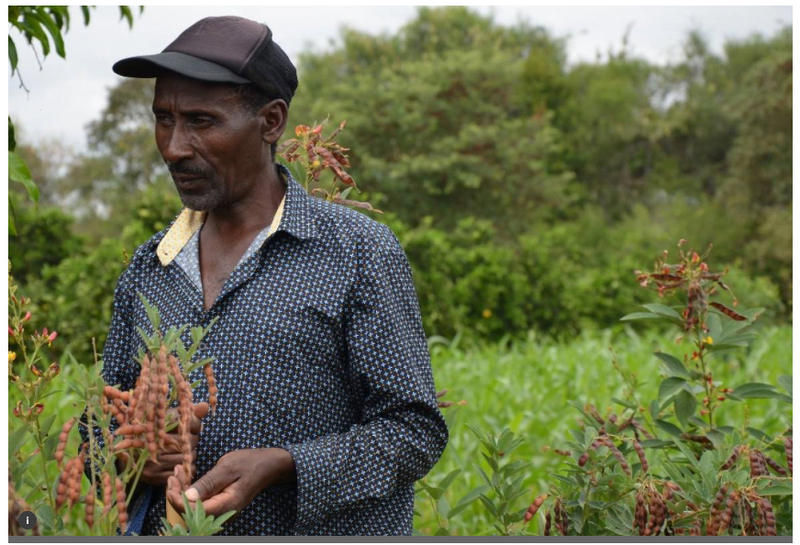 Samuel Nduvi in Kikumini, Kenya has been growing drought tolerant sorghum intercropped with protein-rich legumes like pigeonpea and cowpea over the last three years. 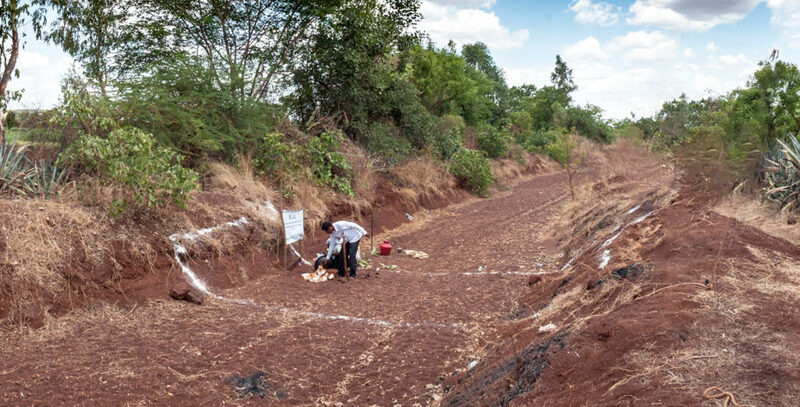 Farmland in Kenya’s north has deteriorated because of loss of soil nutrients and agro-biodiversity, putting livelihoods of 12 million people at risk. On this year’s international day to combat desertification, the United Nations urged for more investment in making land more productive to give “a future for farmers to stay resilient on their home ground”. A few years ago, a study showed that preserving soil quality may significantly reduce migration in rural Kenya. However, as Kenya tackles yet another drought this year, triggering the collapse of maize national reserves and food inflation, things seem to be going the other way. Farmland, especially in Kenya’s northern semi-arid regions, has deteriorated because of soil erosion, and the loss of soil nutrients and agro-biodiversity, putting the livelihoods of more than 12 million people at risk for years to come. For 35 years, Henrietta Moore, director of University College London’s Institute for Global Prosperity, has been closely studying the links between the agro environmental changes and the well-being of rural communities in Kenya. She has seen how the rapid spread of maize has affected the nutrition and resilience of farmers. “When we talk about the drought, the big story in Kenya is that maize mono-cropping, encouraged by local policies and markets, has accelerated desertification, which has and will have a long-term impact on soil productivity,” she told me. Moore explains that Marakwet, in the former Rift Valley province, was traditionally a sorghum and millet growing region, cereals that are more adapted to erratic rainfalls. These communities have a history of sustainable farming practices like intercropping, but they have been under increasing pressure to focus more on cash crops in recent decades. “Some farmers here have proved very resilient and continued to grow millets as it has ritual importance, making ugali (a type of porridge) during family gatherings for instance,” Moore said. The impact of repeatedly cultivating just maize weakens soil health. It tends to decrease soil’s ability to retain water and overall soil fertility due to continuous nutrient loss which is not redressed by appropriate fertilisation methods. 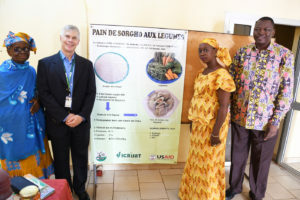 Research by the International Crops Research Institute for the Semi-Arid Tropics (ICRISAT) in Niger has shown that growing legumes prior to pearl millet significantly boosts millet yields and improves soil health (legumes fix nitrogen in soils and legume residues enrich soil in organic matter). Similarly, in Burkina Faso, agronomists have demonstrated that combining affordable soil fertility practices like microdosing, intercropping millet and cowpea and the use of improved seed varieties can reap rewards and lower climate risks for farmers. However, scientists warn that farmers will only accept such climate smart practices if these match their preferences, in particular the market value of the crops. Driving more diversity on farms, especially growing more locally adapted, drought-tolerant crops like sorghum, millet and pigeonpea does make a lot of sense for a sustainable future for farming in the weather-dependent Kenyan drylands. These crops also have much needed nutritional qualities such as calcium-rich finger millet which contain methionine, a crucial amino acid lacking in most African diets. But farmers will only grow more of these crops if they know there is a demand for them, from the markets but also within their households. Despite their agronomic and nutrition benefits, traditional crops like sorghum and millet have been sidelined for decades. Their demand and image suffered at the expense of the demand in Kenya for more globalised diets. There are fewer incentives for research on these climate smart crops, and farmers tend to invest less in them, cultivate them on more marginal plots which reinforce the particularly low yields. This may change in the near future. 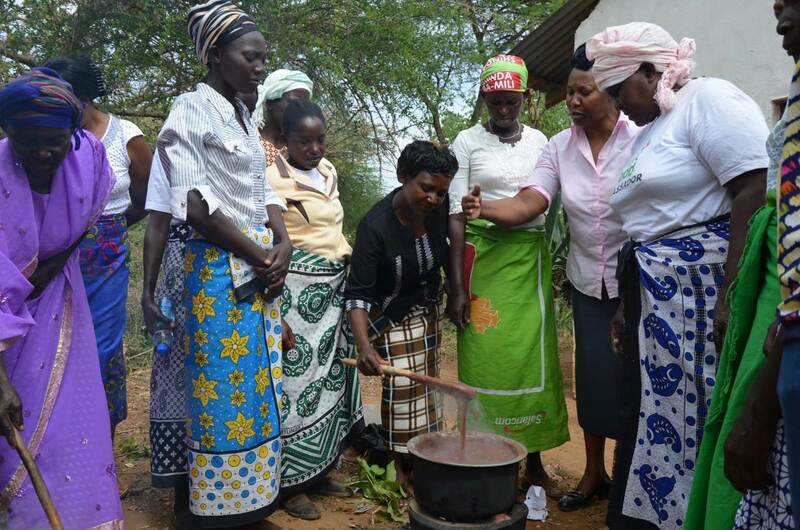 Kenya’s county agriculture and health departments are working with farmers and community health workers in six regions through dynamic participatory cookery programmes. Their aim is to help rediscover the benefits of millet, sorghum, cowpea and pigeonpea by sharing modern, healthy, time-saving recipes alongside sanitation and nutrition education. 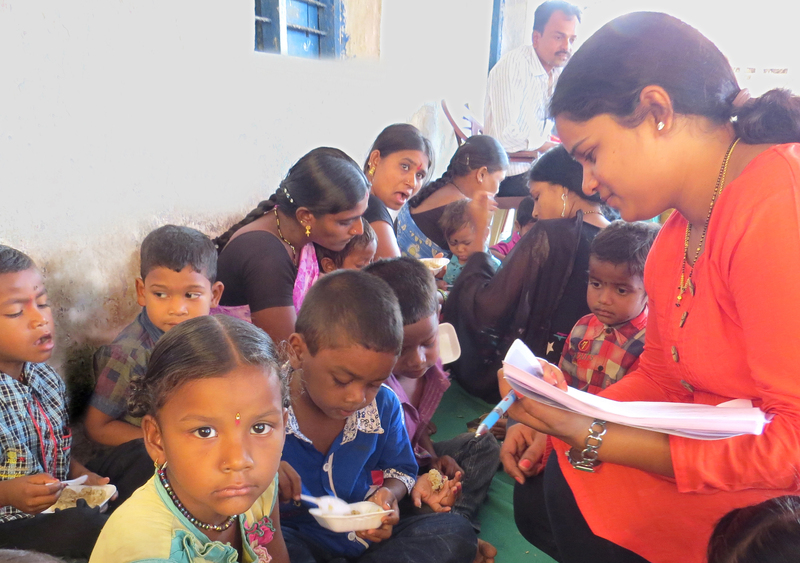 More than 40,000 families have already been reached and the impact of a varied diet on nutrition is being monitored. Meanwhile almost 1 million urban people have been avidly watching the reality Smart Food TV show, where contestants create inspiring recipes using traditional foods, which has generated a fervour for diversifying diets. John Ingram, the University of Oxford’s food systems programme leader, has been calling for more sustainable food systems, where governments, the food industry, NGOs, researchers and civil society work on managing food demand. 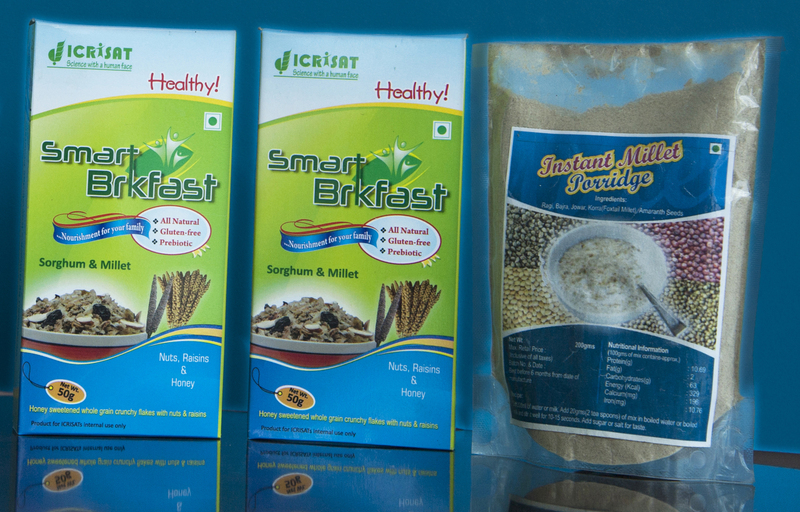 The smart food campaign coordinated by ICRISAT is popularising smart foods like millets and pigeonpea, to promote under-utilised crops that are “good for you, good for the planet and good for the farmer”. To bring back foods that are nutritious and sustainable, we need not only to boost their production but also increase demand for them among consumers. Processed products that may help boost their popularity include gluten-free millet drinks, high calcium millet crackers and puffs, sorghum flakes or salads – alongside the traditional porridge, grains and flour mixes. We also need these foods to be affordable to scale up sustainable diets. Partnerships are vital to tackle nutrition inequalities in the food system as highlighted by Lawrence Haddad, executive director of Global Alliance for Improved Nutrition, at the EAT Stockholm Food Forum last week. These partnerships could start locally. 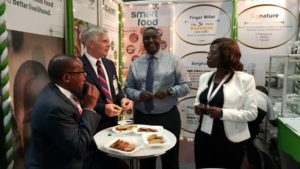 University College London’s Henrietta Moore says she believes the drive for smart food will take off in Kenya as part of the country’s climate mitigation strategy. We need to invest more in indigenous knowledge-sharing approaches to scale up diversity on farm plots and plates. Nouhoun Tigana, a farmer in rural central Mali, doesn’t know for sure what the weather will be tomorrow - other than that it’s likely to be blisteringly hot again. Nouhoun Tigana, a farmer in rural central Mali, doesn't know for sure what the weather will be tomorrow - other than that it's likely to be blisteringly hot again. “The heat is so bad now that we can’t work between noon and 3 p.m.,” he said, waving a skinny pigeon away from the chicken coop he is guarding. Oddly, however, Tigana now has some idea of what conditions might look like 30 years from now in his village, near the southern fringes of Africa’s Sahel zone. 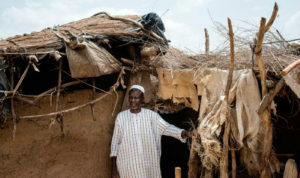 That’s because, with 30 other farmers, he last year climbed into a Jeep and headed off for a bit of “time travel”: A visit to the Mopti region, to the northeast, that today has the kind of conditions experts believe Kolondialan can expect in decades to come as climate change takes hold. 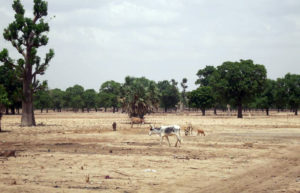 “The idea is to get communities to learn from each other by visiting an environment that is similar to their own – so based on farming – but not identical in terms of climate conditions,” said Bouba Traoré, a scientist at the International Crops Research Institute for the Semi-Arid Tropics, one of the organisations piloting the “farms of the future” project in Mali. “It’s like they are visiting their ‘future village’, if temperatures were to continue to rise and rainfall to decrease,” he added. The initiative is part of the Building Resilience to Climate Extremes and Disasters (BRACED) programme, supported by Britain’s Department for International Development. (113 to 122 degrees Farenheit). “But we can’t sit here and do nothing. 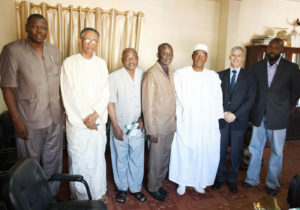 We have to find a way to get by,” Tigana said. The farmers are working on ways to adapt to the changing conditions, such as experimenting with new crops and trying to find additional sources of income beyond crop farming, to build their resilience to worsening harvest losses. But making those efforts effective for the long run will require adapting not only to the tougher conditions being experienced now but the even harsher ones to come, experts say. Over the past year, with the help of climate experts and an online weather prediction tool, Tigana and other local farmers have helped identify villages further north – such as Bankass and Koro – that are experiencing the kind of climate conditions Kolondialan could face in 30 years’ time, mainly higher temperatures and less rain. Men and women from Kolondialan and a nearby village have then traveled to visit them, to understand how residents there are coping with current weather. After the visit, each of the project village has received a grant of 1 million CFA francs (about $1,700), which it can spend on any kind of adaptation effort its community groups decide on. The online weather tool used by the farmers, called Climate Analogues and developed by the Climate Change Agriculture and Food Security research programme (CCAFS), allows users to locate areas whose current climate is similar to the projected future climate of their own area, based on precipitation and temperature data. Maarten van Aalst, director of the Red Cross Red Crescent Climate Centre, said that improving Sahelian communities’ generally limited access to weather information is key. But even more important, he said, is placing it in the context of their lives, “so they can understand what’s coming”. “Being confronted with the possibility that future climate conditions could be even more challenging than current ones is a good way to get communities to invest in resilience,” he added. Tigana’s community has settled on one particular option to fight higher temperatures and crop losses: Chickens. He stands in front of a group of men and women huddled together on a bright blue carpet. “At the end of the month your household will get a loan of 50,000 CFA francs (about $85) for the next half of the year,” he tells the crowd, which greets the information with a murmur of approval. “We recommend you use this money to buy chickens, which we will help you raise so you can sell them at a profit at the market,” he said. 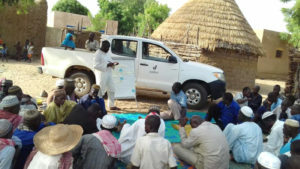 The public meeting, chaired by Tigana, aims to share with the rest of the village the measures the village’s community group have decided on after their “future village” visit to the Mopti region. These include buying and fattening animals like chickens and goats before selling them at a higher price, as well as protecting maize harvests more effectively by hanging them in trees, out of reach of pests, livestock and floods. The activities vary from one village to another, said Traoré, depending on the farmers’ skills and the resources available. For example, in the village of Sibougou – also in central Mali – the community has chosen to build stoves made of mud and straw, which burn less wood, as well as insulated baskets, which conserve heat to cook food even when there is no sun. 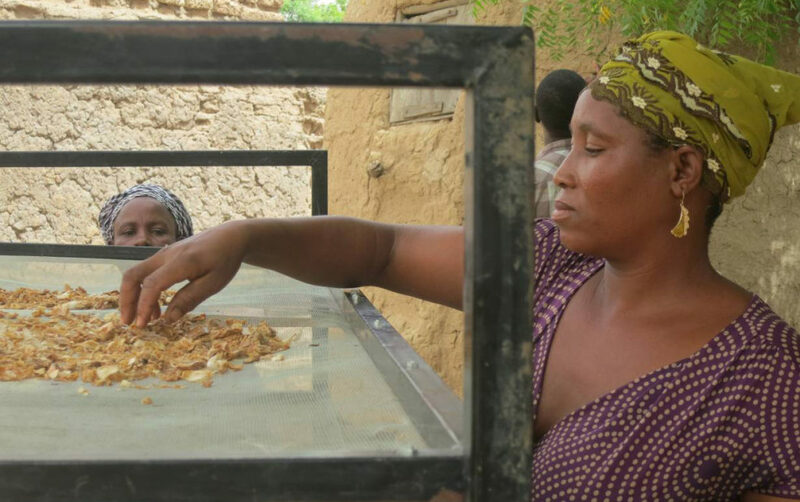 Mariam Touré, a farmer who has been using the improved stoves and baskets since the beginning of the year, says they have allowed her to start her own bakery business while still reducing her wood consumption by about 25 percent. John Riley, project director at International Relief and Development (IRD), a charity managing the BRACED project in Mali, said the “farms of the future” approach aims to “help communities grow more independent in the long term, rather than rely on external assistance”. But a recent rise in jihadist attacks in Mali’s north – and increasingly in the country’s centre – have hampered progress. A ban on motorcycle travel, aimed at reducing the attacks, prevents farmers and field agents from travelling to the villages they’re meant to visit or assist, Riley said. “They [the bandits] aren’t necessarily against our work with farmers but they often think we’re plotting with the government to get rid of them,” he said. For now, said Traoré, security and budget permitting, the project hopes to repeat the “farms of the future” experience in other regions in Mali, and in neighbouring countries. The Thomson Reuters Foundation is reporting on the BRACED program to support the program’s goal to develop and disseminate climate resilience knowledge. 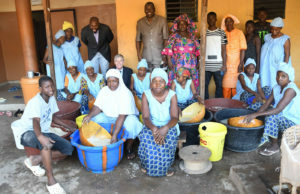 Alex Potter reported from Mali with support from the International Reporting Project. Our panel of experts give their ideas of how thirsty industries such as textiles and agriculture can save water. Re-use industrial water in agriculture We should not consider wastewater as a waste but as a source of value. This is the core idea of Water4crops, one of the largest EU-India collaborative research projects. Two new machine harvestable chickpea varieties ICCV 08102 (RVG 204) and ICCV 08108 (Phule Vikram) were released recently in the Indian states of Madhya Pradesh and Maharashtra respectively. It may be recalled that the first machine-harvestable chickpea variety – ICCV 05106 (NBeG 47) – was released in Andhra Pradesh in 2016. The release of these three varieties was achieved through a partnership among the Indian Council of Agricultural Research (ICAR), the State Agricultural Universities and ICRISAT. 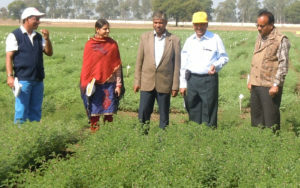 These varieties were developed following demands from farmers for machine-harvestable chickpea as manual harvesting was becoming an expensive field operation due to increasing labor cost. The existing varieties were unsuitable for machine harvesting due to inadequate plant height and also because of branches growing too close to the ground. The new varieties released have semi-erect growth habit and the first pod height is about 30 cm from the soil surface providing enough ground clearance for machine harvesting. In addition, the two newly-released varieties are high-yielding, disease-resistant, early-maturing and have market-preferred traits. Variety RVG 204 recorded 16 to 32% higher yield than the popular cultivars JG 11 and JAKI 9218 in Madhya Pradesh. In Maharashtra, the variety Phule Vikram recorded 10 to 22% higher yield than the popular varieties Vijay, Vishal, Digvijay, JG 16, JAKI 9218 and BDNG 797 under irrigated and timely-sown conditions and 17 to 31% higher yield than Vijay, Vishal and Digvijay under late-sown conditions. Both these varieties are highly resistant to Fusarium wilt, mature early and have market-preferred grain quality. With Madhya Pradesh being the largest (3.2 million ha) and Maharashtra the second largest (1.8 million ha) chickpea-growing state in India and both the states put together accounting for 50% of the chickpea area in India, the new varieties will benefit millions of chickpea farmers in India. In fact, the first machine-harvestable chickpea variety that was released in Andhra Pradesh is in high demand and spreading rapidly. Within one year of release, this variety covered about 500 ha during the 2016-17 crop season. Machine harvesting of chickpea can reduce cost of production, prevent risk of harvest losses, improve resource use efficiency and reduce drudgery for women who carry out the manual harvesting. Machine-harvestable chickpea varieties have the potential to enhance chickpea area and production in India, and can help reach the country’s goal of self-sufficiency in pulse production and doubling farmers’ income. The variety RVG 204 was released by RAK College of Agriculture, Sehore, of Rajmata Vijayaraje Scindia Krishi Vishwavidyalaya (RVSKVV), Gwalior, and the variety Phule Vikram by Mahatma Phule Krishi Vidyapeeth (MPKV), Rahuri. The chickpea research team comprised of Drs M Yasin, HS Yadava, Priyanka Joshi, DR Saxena, SC Gupta, Sandeep Sharma, and RP Singh from RVSKVV and Drs PN Harer, VD Shende, MR Bedis, LB Mhase VB Shinde, DV Deshmukh, BV Kagane, VM Kulkarni, MB Pawar, and SN Bhalerao from MPKV. Funder: National Food Security Mission (NFSM) of the Department of Agriculture, Cooperation and Farmers Welfare, Ministry of Agriculture and Farmers Welfare, Government of India. To strengthen sorghum, finger millet and pearl millet value chains in East Africa, a new project was launched. The four-year program will target resource-constrained smallholder farmers and agropastoralists in Kenya and Tanzania and will build on the successes of earlier projects. At the launch, farmers, especially women, spoke of their entrepreneurial achievements through the previous projects and their expectations of the new project. The project – Strengthening sorghum and millet value chains for food, nutritional and income security in arid and semi-arid lands of Kenya and Tanzania (SOMNI) – will build on the work accomplished by previous projects, particularly Harnessing Opportunities for Productivity Enhancement (HOPE) 1 and Sorghum for Multiple Uses (SMU). It will upscale the deployment of production technologies and development of value-added products of sorghum, millets and suitable dryland legumes for household and commercial uses. Increasing income from marketing dryland cereal grain, fodder and products by low-income value chain actors, especially smallholder women farmers. The project will also promote intercropping of sorghum and millets with dryland legumes (cowpea, pigeonpea and green gram) for improved soil fertility and also to enhance household food, nutrition and income security. 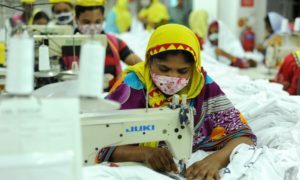 Special attention will be given to women, youth, the elderly, and other vulnerable social groups. Indirect target groups will include rural grain traders/aggregators, cottage/village grain millers and other small and medium enterprises involved in sorghum, millets and legumes value chains. Local schools and faith-based organizations will also be targeted in promoting utilization and nutrition through school feeding programs as well as other community-based feeding programs. Emphasizing on the need to build on the work accomplished by previous projects, Dr Henry Ojulong, the project’s principal investigator and Senior Scientist – Breeding, Eastern and Southern Africa Program, ICRISAT, said, “Despite the high nutritive value of sorghum and millets that are well adapted to the climatic conditions in the region, utilization and demand for these grains is constrained by limited non-traditional end uses – including a narrow range of food and value-added products for household consumption and mass markets”. The SOMNI project launch was held on 20 and 21 April 2017 in Arusha, Tanzania. A review of the SMU project achievements and planning of activities for SOMNI were also taken up. The event was attended by agriculture extension officers, researchers, seed companies, processors and farmers from Kenya and Tanzania. – Ms Pacilisa Wanyonyi, 44-year-old farmer and entrepreneur from Busia County, Kenya. I started working with the HOPE project in 2008 where I learnt about the row planting technology for increasing yields in finger millet. The project provided me with fertilizer and improved finger millet seed – U15, P224, Okhale, etc. The team also linked me to buyers and trained me on value addition. Since my interaction with HOPE, I have gained more exposure – meeting different people during activities. I now have a source of income which I get from selling finger millet value-added products which I supply to schools and local shops. I produce enough to feed my family as well as sell grain to buy additional food and educate my children. The HOPE project gave me the courage to leave my job as a pre-kindergarten teacher and became a farmer and processor of finger millet. My wish is that this new SOMNI project helps processors like me get quality and standards certification (KEBS) so that I can expand the market for my products – crackies, cakes and mandazi. I hope to see my products on a supermarket shelf. 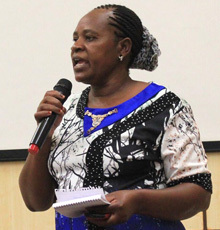 – Ms Fransisca Loko Mwangangi, 53-year-old farmer from Kitui County, Kenya. I started working with SMU in 2014. At that time, I had no agricultural knowledge. Through the support of the project, I attended good agronomic practices (GAPs) training where I learned about sorghum farming as a commercial activity. Together with my farmers group, I also attended value-addition training which helped enlarge my vision. I now create sorghum value-added products. I moved from being just a farmer to being a processor. The project also supported a study tour to Italy which enlightened me on how I can help the poor and vulnerable members of my community take up sorghum farming as an income-generation venture. Since then, I have formed 19 farmer groups and introduced them to a credit institution (Universal Traders Sacco) that enables them to buy certified seed and other inputs for better farming. In 2016, I attended a nutrition training held by SMU in Kitui where I learned a lot about the nutritional value of sorghum. 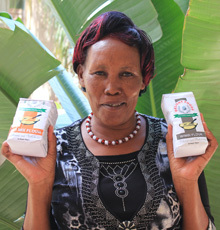 I prepare products like sorghum mandazi, porridge and ugali for my family. SMU has helped me to improve my living standards from a peasant farmer to a commercial farmer. The project provided me with a jiko (charcoal stove) for baking products prepared by my group. My wish as the new project kicks off is to work closely with the project team to accomplish my dreams of improving the livelihoods of community members in Kitui County. My dream is to build the capacity of my community members so that they can be able to grow enough food for themselves and sell the surplus for more money. I would like to participate as a trainer in good agronomic practices and value addition. 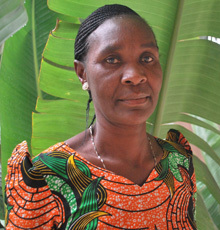 – Ms Juliana Gunzu, 54-year-old lead farmer and QDS producer for sorghum and millet from Iramba District, Tanzania. I joined SMU in 2014 when I was selected by fellow farmers in the village to get trained on seed production. I am a lead farmer and QDS (Quality Declared Seed) producer for sorghum and millet. Sometimes I offer extension services to other fellow farmers when they come to buy improved seeds that I produce on my farm. We use the farmer field school approach to teach other farmers. The project has trained me as a lead farmer on participatory variety and hybrid selection for sorghum and finger millet. I have also been trained on good agronomic practices which includes field layout, planting, harvesting, processing and packaging of sorghum and finger millet products. I was also trained on marketing and business development skills. I appreciate the training received from the SMU project team since I am able to produce more than I used to. I have managed to increase productivity and production of sorghum and millet. From the sales proceeds, I get enough money to pay the school fees of my two children. I have also built a modern house, bought a motorcycle, 12 cattle (among them 8 bulls) and started poultry keeping from the money I gained from selling sorghum and millet grain and value-added products. Special thanks to ICRISAT which enabled the Iramba District Council to implement the project as well as farmers representatives from DRD and all participants that made the project a success. As the new project begins, my wish is that it should build the capacity of other farmers and support farmers in acquiring a processing machine for value addition for sorghum and millets. My desire is to be given an opportunity to attend study visits in other areas in and outside the country and to be linked with financial institutions. But more importantly, I want to be given a chance to extend what I have learnt to other members of my community. 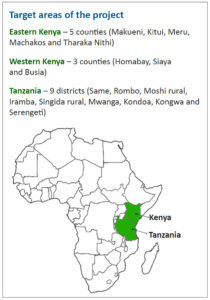 Partners: Africa Harvest; Kenya Agricultural and Livestock Research Organization (KALRO); Directorate of Research and Development (DRD), Tanzanian Ministry of Agriculture, ICRISAT and other national partners. To assist crop breeders to use huge volumes of genomic data effectively in breeding programs and significantly increase genetic gain in key crop performance traits, the Genomic Open-source Breeding Informatics Initiative (GOBII) released its first production version of a new tool ‘Cascadilla’. A team from Cornell University and ICRISAT developed the tool. ‘Cascadilla’ comes with improved loader and extractor user interface with improved workflow, usability and file transfer to extract genotype data by samples, markers and datasets. Earlier, GOBII had also launched breeders’ tools such as ‘Flapjack’ for Marker Assisted Backcrossing (MABC) and ‘Ped Ver’ for pedigree verification. In his keynote address, Dr David Bergvinson, Director General, ICRISAT, highlighted the importance and timely intervention of the GOBII project. He said that the intersection of biological and computer science is where innovation is going to be the richest in several decades. Dr Rajeev Varshney, Research Program Director – Genetic Gains, ICRISAT, said that the intended key contributions of GOBII to CGIAR breeding success include removing barriers to breeding innovation by having robust systems for handling high-dimension genomic data, efficient decision support tools and enabling scientists to focus their time on strategy development and execution. He said that the CGIAR’s Excellence in Breeding (EiB) Platform has been envisioned as a model for cross-institutional collaboration and for streamlining the use of genomic information to accelerate breeding progress in multiple crops. The aim, he said, is to make science and technology breakthroughs relevant to crop improvement communities serving the resource-poor worldwide. ‘Cascadilla’ was launched at ICRISAT headquarters onMay 26. A team from Cornell University and ICRISAT worked together from 22-26 May for on-site deployment of ‘Cascadilla’. The team included Dr Yanxin Star Gao, Mr Yaw Nti-Addae and Mr Kevin Palis from Cornell University and Drs Himabindu Kudapa, Manish Roorkiwal, Abhishek Rathore, Santosh Deshpande, Ms Anu Chitikineni, Mr Prasad Bajaj, Ms Roma Rani Das, Mr S Sivasubramani, Mr Anilkumar V and Mr Chaitanya Sarma from ICRISAT. The workshop was attended by around 34 participants including breeders from ICRISAT, CIMMYT and IRRI. Supported by the Bill & Melinda Gates Foundation, Genomic Open-source Breeding Informatics Initiative (GOBII) is the first large-scale public-sector effort to systematically apply high-density genotypic information to the breeding of staple crops in the developing world. The project aims to develop and implement genomic data management systems to enhance the capacity of public sector breeding programs to deliver increased rates of genetic gain. The initial focus is on rice, wheat, maize, sorghum and chickpea in South Asia and Sub-Saharan Africa. The genomic data management systems will include databases, data loader, data extractor, imputation systems, and decision support tools for plant breeders. GOBII involves a multi-disciplinary team of software developers and engineers, molecular biologists, geneticists, curators, breeders, and bioinformaticians from Cornell University, International Maize and Wheat Improvement Center (CIMMYT), International Crops Research Institute for the Semi-Arid Tropics (ICRISAT), and International Rice Research Institute (IRRI). On the 130-km drive from Semera, the capital of Afar region in Ethiopia, to the research site in Chifra, the lone green patch visible along that stretch is the collaborative venture between ICRISAT, GIZ, local universities and partners. This initiative to rebuild the livelihoods of agro-pastoral communities in the largely drought-prone region, has succeeded in rehabilitating 35 ha of abandoned land and benefited 52 households with about 360 household members, providing food for them and fodder for their livestock. It has also created a huge social movement at village, district and regional scales. The intervention enhanced the fertility and water holding capacity of the soil in the area, which allowed local lost grasses and trees to spring back to life. The environmental impact has been huge, and the work is ongoing. 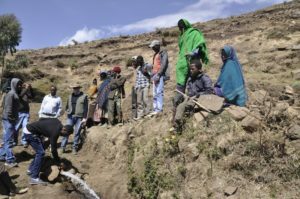 Chifra woreda (district), located near the base of the eastern escarpment of the Ethiopian highlands, is largely drought prone. Annual rainfall ranges from 200 to 500 mm per year, spreading from March to September. However, the last decades have seen the rainfall months shrinking, and the onset of rain inching towards July. The traditional ‘belg’ rains (short rains) have also been dwindling and exposing the pastoral and agro-pastoral systems to recurrent drought and famine, as happened in 2015-16. Most of these rangelands depend on the flood stemming from the highlands of Wollo and Tigray. Drought in the highlands hits this region hard! Besides, in the rainy season, channelling the flood water for agricultural use is a challenge. ICRISAT in partnership with GIZ-Ethiopia, Woldia University and the Afar regional state started testing various rainwater management strategies. One of the interventions was using water spreading weirs (WSWs) to spread flood water out of the concentrated spillways into the degraded plains. The weirs reduced the velocity of the flood water and distributed it to the wider plains, thereby enhancing soil water infiltration. The captured water was then used for producing food and feed crops. Following these investments, ICRISAT was tasked to convert this ‘no mans’ land’ into a productive area using dryland technologies. In partnership with local universities and research institutes, it developed WSW-specific cropping system approaches that identify, prioritize and integrate best agricultural practices that efficiently use flood water and improve the degraded land in Chifra. At least 12 different training events were conducted for communities and district officers on topics such as land preparation, choice of crops and varieties, agronomic management, biomass management, crop-livestock integration, postharvest management and so on. But before that, extensive groundwork was done. 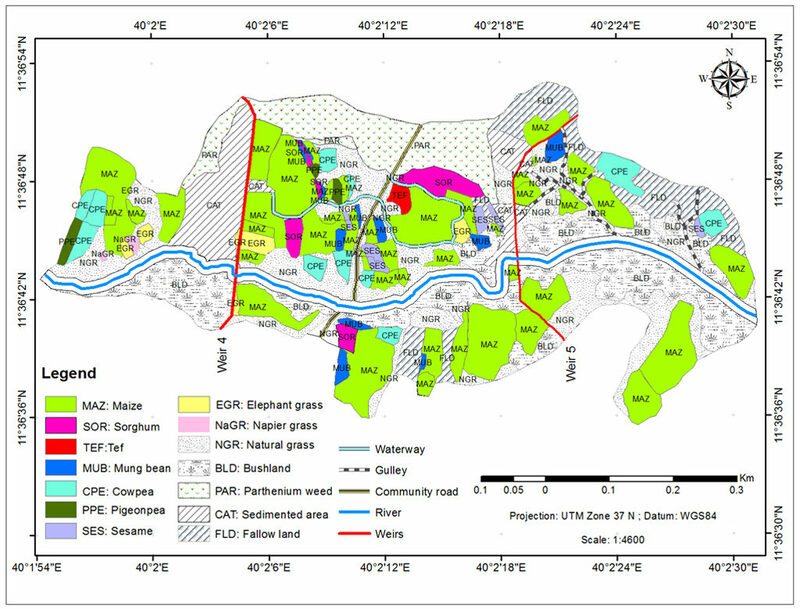 Land use suitability analysis was conducted at the research site. The entire area was tracked using GPS to characterize soil-water distribution and soil fertility gradients created by the physical structure (WSWs), which was effective in capturing sediment emerging from the highlands along with the flood, enriching the flat plains. The soil moisture regimes of the system were plotted and different parcels were assigned into different land use categories. Information on parameters for each plot, such as crop type, crop performance, soil moisture status and plot owners’ attributes, was generated. The information database was transferred to the GIS platform. The plots were digitized and assigned a unique plot identification number in ArcGIS platform. Based on the analysis, 19.4 % (6.8 ha) of the total area was classified as good land and 36.3 % (12.8 ha) and 12.5% (4.4 ha) as medium and poor land, respectively. 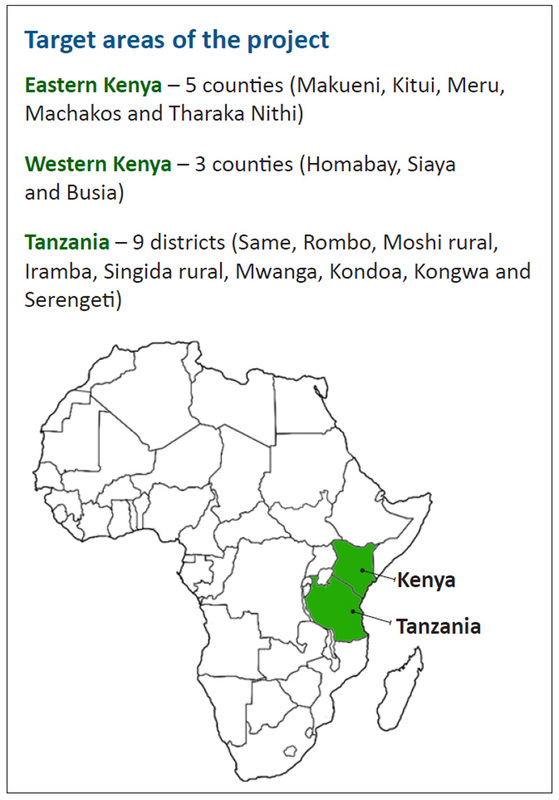 Accordingly, different food crops (maize, sorghum, teff, mung bean, cowpea, pigeonpea and sesame) and forage crops (elephant grass, napier grass and natural grass) have been recommended for the three identified categories (see map). Among the tested crops, sorghum variety – Girana 1 performed very well, but wasn’t able to complete the lifecycle due to bird incidences. Farmers feared the fate of their harvested crops due to the free movement of livestock. Managing isolated sorghum fields too was a concern; which will be discussed with the community leaders in the coming season. Despite the odds, sorghum crops produced about 26 tons of biomass for feed and other multiple uses. For maize, the crop stand and greenness of two early-maturing varieties (Melkassa 2 and 4) was more than what agronomists expected, even though there was lack of water during late flowering. Grain productivity, however, was low. Yield and productivity would be improved in the next season. Regardless of season and intensity of drought, the two high-value crops teff and mung bean performed very well in the systems. Teff yield was as close as that of the highlanders, with about 1.5 tons per ha, which fetches up to 25 Birr (USD1.08)/kg. Farmers could buy about 5 kg of sorghum or maize by selling 1 kg of teff. Similarly, mung bean is one of the most demanded export crops in the country with amazingly high yield, reaching up to 2 tons per ha. There was a huge demand for seed, and this is likely to grow during the next season. The performance of pigeonpea, cowpea, sesame and lablab were very encouraging. This will be further validated in the next season using niche-specific approaches. Total biomass and grain yield (in tons) of crops produced under the water spreading weir, in Chifra, 2016. Build local capacity in constructing, managing and using WSW for productive use, addressing local labor and technology challenges. Water scarcity, land degradation and the resultant low agricultural productivity that’s making young farmers averse to taking up agriculture are some of the key issues that will be addressed by a new Corporate Social Responsibility (CSR) project. 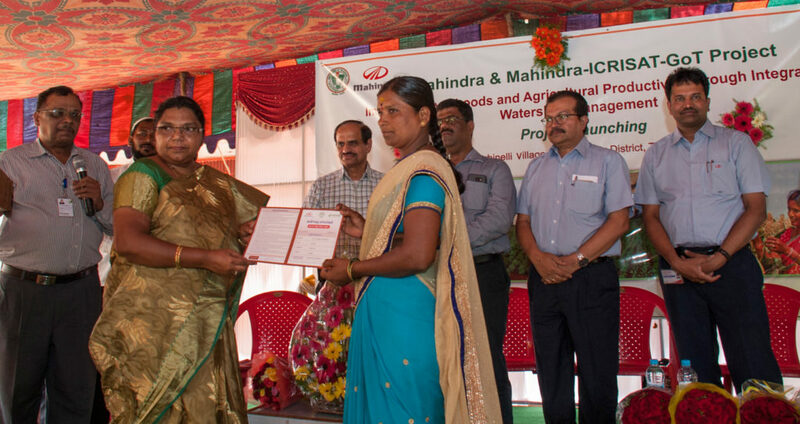 Indian automobile manufacturing company, Mahindra & Mahindra Ltd., is working with ICRISAT to address the above issues in Buchinelli village, Telangana, India. The launch was attended by 150 farmers, who were briefed on the objectives of the project. Women empowerment and skill development. The NGO, Rural Education and Agriculture Development (READ) will partner with the community to form the watershed committee as well as promote the Self-Help Groups for collective action to improve the livelihoods through integrated watershed management approach. Mahindra & Mahindra will also support custom hiring centers for mechanizing farms to address the issues of labor shortage and cost of cultivation. The main purpose of this collaborative initiative is to improve the livelihood of farmers through increased profits and productivity with science-led interventions. The project launch was flagged off with the ground-breaking ceremony for a check dam, in the presence of Ms A Madhavi Srilatha, District Agricultural Officer, Sangareddy district, Government of Telangana. Mahindra & Mahindra officials, Mr Suhas Kumbhar, Plant Head – Farms Division and Mr KPN Rao, Head HR & ER, along with Dr Suhas P Wani, Research Program Director – Asia and Theme Leader – ICRISAT Development Center, addressed the participants who attended the launch on 31 May. India and Africa forged partnerships for stronger collaboration and accelerated development, particularly in the areas of agriculture, food processing, and entrepreneurship at the 52nd Annual Meetings of the African Development Bank Group (AfDB). Held outside Africa for the first time, the meetings saw several memorandums of understanding being signed between Indian states, African nations and companies within India. These were aimed at developing close ties between India and Africa as they face similar challenges related to adapting to climate change, addressing malnutrition and creating economic opportunity for youth in the agriculture sector. Consistent with the central theme of the event, “Transforming Agriculture for Wealth Creation in Africa,” many conferences and seminars explored cooperative strategies for India and Africa to attain the shared goal of rural and agricultural transformation leading to alleviation of rural poverty and improvement of farmers’ lives. Understanding that agriculture is the engine for broad-based economic development, the AfDB meetings and sideline events were about gaining from India’s experiences from the first Green Revolution and adapting them into large-scale implementation in Africa. Mr Narendra Modi, the Prime Minister of India, inaugurated the Annual Meeting on 23 May, reiterating the common geographies and aims of the two major global regions in agriculture. In his keynote speech, Dr Akinwumi Adesina, President, AfDB, said that this year’s meetings were focused on one of the High 5s of AfDB: Feed Africa, i.e. reduce Africa’s dependence on food imports and unlock the full potential of its agriculture. He praised India’s Green Revolution, which turned India into a food self-sufficient nation, and hoped that Africa could emulate it. He made a special mention of the fact that he started his international career with ICRISAT way back in 1988. ICRISAT participated in a special exhibition: “India & Africa: Partners in Growth. An Exposition on Opportunities and Collaborations” at the AfDB Annual Meetings. Various businesses, organizations, farmers, students and other individuals visited the ICRISAT stall and shared motivating inputs and their specific insights on the issue of agriculture in Africa. 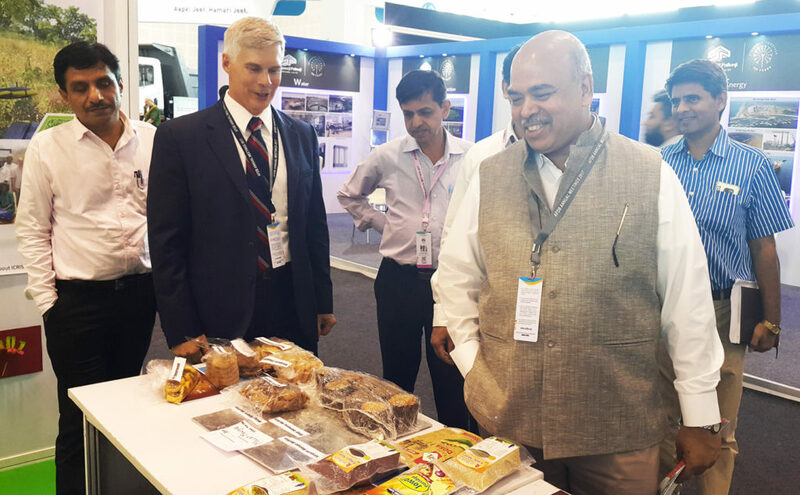 Mr SK Pattanayak, Secretary, Agriculture Cooperation and Farmers Welfare, Government of India and ICRISAT governing board member, visited the stall, where Dr Bergvinson informed him about the ICRISAT ihub. Mr Willy Bett, Cabinet Secretary, Ministry of Agriculture, Livestock, and Fisheries, Kenya, appreciated ICRISAT’s millet and sorghum products commenting that this was exactly needed in Kenya to improve farmers’ livelihoods. Several African citizens approached the ICRISAT stall for information on setting up agribusinesses in their home countries; they requested ICRISAT’s assistance for acquiring quality seeds, new technologies. The agribusiness ideas ranged from large-scale farming investments in Africa, to manufacturing and marketing of customized agricultural implements. Mr Louis Nouaille-Degorce, Deputy Regional Economic Counsellor, Embassy of France in India, stopped by to explore partnership opportunities in value chain development, especially in the cold storage logistics sector. ICRISAT received numerous invitations to attend conferences and agri-fairs in Kenya, Indore (India) and other places. Ready-to-eat food items like muffins, cookies and savories presented by the Housing and Food Services Department, ICRISAT, were greatly appreciated by all visitors. There were also repeated queries for the recipes and availability of the processed millet products. 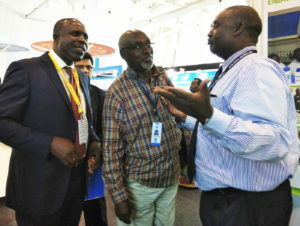 The 52nd Annual Meetings of the AfDB were held at Gandhinagar, Gujarat, India, during 22-26 May. 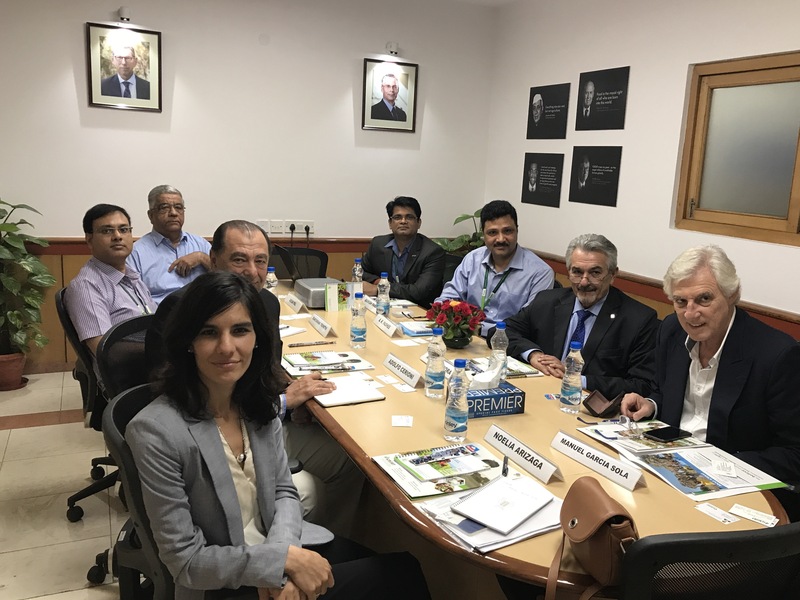 To discuss possible collaboration and issues related to exchange of germplasm material, a delegation from the National Institute of Agricultural Technology (INTA), Argentina, visited the ICRISAT office in New Delhi on 16 June. (Clockwise L to R) Ms Maria Noelia Arizaga, Chief of Commercial Section, Embassy of Argentina in India; Dr Adolfo Cerioni, National Coordinator of Technology Transfer, INTA; ICRISAT staff –Dr Surya Mani Tripathi, Manager – Technology Transfer and Compliance, Agribusiness & Innovation Platform, Innovation systems for the Drylands Program; Mr Arun Pal, Lead Liaison Officer; Dr Manish Pandey, Scientist, Groundnut Genomics, Genetic Gains Program; Dr Arabinda Kumar Padhee, Director, Country Relations and Business Affairs-New Delhi; Dr Amadeo Nicora, President, INTA; and Mr Manuel García Sola from Litoral Biológicos SRL, an Argentine Biotechnology firm. An action plan for the 2017 cropping season for groundnut and cowpea was drawn up at a training workshop to strengthen the capacities of stakeholders in the legumes value chain in Nigeria. Developing policies and regulations related to seed development. Multi-stakeholder platforms were identified that would aid in improving farmers’ access to quality seed of cowpea and groundnut as they facilitate a better matching of supply and demand for specific varieties. Developing a more robust seed value chain by promoting synergies among projects and minimizing duplication of efforts. Improving informal seed production involves a number of areas including capacity building, training seed producers and establishing outgrowers scheme, supporting community-based organizations and individual entrepreneurs. Market information systems and demand forecasting are needed to synchronize seed production with the market. Creating awareness through mass media advertisements and promotional activities such as demonstrations, field days, fairs and exhibitions by seed companies were recommended to align supply with demand. Business models for profitable seed production need to include individual seed growers, farmer associations or cooperatives among others. Contract grower arrangements between seed companies and legume producers are important for increasing profits in the informal seed production sector. It was agreed that the sister projects should continue to support private seed companies by developing business skills through trainings and practical mentoring, and facilitate linkages with financial service providers for the legume seed value chain. The informal seed sector comprised about 80% of the total seed system for all legume seed demand in Nigeria. Therefore, improving farmers’ access to better quality seed from the informal sector was identified as a potential strategy for reaching farmers in the remote areas. Farmers participating in the workshop provided constructive feedback. Mr Ahmed Auwalu, a farmer from Jama area in Bauchi State, suggested that producers and processors of seeds should come together to find ways of sustaining their businesses. Another farmer suggested that participating farmers, Community-Based Organizations (CBOs) and other farmers’ groups should be made to understand that the local communities benefit from such projects activities. He advised participating members to focus on sustainability of the project for farmers to enjoy the gains even after the project ends. The importance of spreading awareness on health benefits of legumes and promoting their consumption, especially among young children and pregnant women, was stressed by Mr Ado Rabo, Station Manager, International Institute of Tropical Agriculture (IITA) Kano, who was representing Dr AY Kamara, IITA, Kano Officer In-charge. Dr Hakeem Ajeigbe, Country representative-Nigeria, ICRISAT, and Dr Lucky O Omoigui, Seed Systems Specialist, Tropical Legumes III (TL III), also addressed the participants. Other important presentations and hands-on sessions conducted were: ‘Data collection using mobile tools’ by Ms Sylvia Kalemera, M&E/GIS analyst, International Center for Tropical Agriculture (CIAT), Tanzania; ‘Government policies and regulations governing seed production in Nigeria’ by Mr Folarin Okelola of National Agricultural Seed Council (NASC); and ‘Developing a seed business plan’ by Mr Enok K Maerekar, CIAT, Malawi. The workshop was jointly organized by TL III, USAID Cowpea Upscaling, and N2AFRICA projects operating in Nigeria from 24-26 May 2017 at IITA, Kano, Nigeria. It was attended by 67 (8 women and 59 men) participants from private and public seed companies, outgrowers, community-based seed producers, grain traders, researchers, extension staff, agro-chemical dealers, fertilizer dealers, project desk officers from the five participating Agricultural Development Programs, NASC and the media. Prof. Dr István Komlósi, Dean, Faculty of Agricultural and Food Sciences and Environmental Management, University of Debrecen and Ms Joanna Kane-Potaka, Director, External Relations and Strategic Marketing, ICRISAT, exchanging the MOU. University of Debrecen and ICRISAT signed an MOU to collaborate on Smart Food to identify opportunities initially for millets and sorghum products in Europe. University of Debrecen will be 480 years old next year and particularly strong on agriculture, medicine and food technology and also have an integrated approach to disciplines able to take a market driven approach. 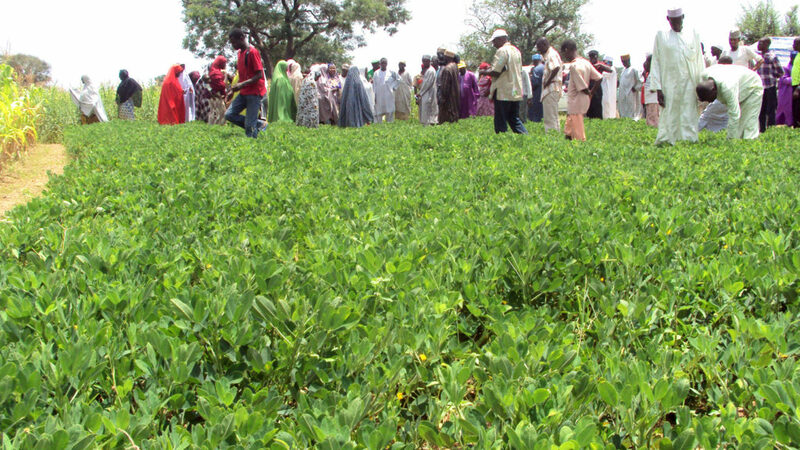 Groundnut cultivation in northern Nigeria can be a daunting task as the soils are generally poor. This is aggravated by the fact that farmers rarely follow the prescribed fertilizer recommendations. Three improved varieties of groundnut – SAMNUT 24, 25 and 26 – with a yield potential of 2.5 tons per hectare were released in Nigeria in the recent past, but farmers here get a yield that’s less than a ton per hectare. To address this issue and the other challenges of groundnut cultivation in the region, two training programs were organized for extension workers. (70-80 kg/ ha), and has a short germination potential when already shelled. Securing groundnut seed at the onset of the planting season is more expensive (about USD 1/kg) than other crops and ensuring farmer access to improved varieties remains a key challenge. It was against this background that two training workshops were organized for extension agents and field assistants of the State where the Nigerian component of the USAID Groundnut Upscaling Project is being implemented. According to Dr Michael Vabi, Country Project Manager, Nigeria, ICRISAT, the two workshops were designed to help the extension agents improve their knowledge and skills to assist farmers in increasing farm yields through the use of both improved groundnut varieties and accompanying crop management practices. The workshops addressed specific and general aspects of groundnut-based technologies from production through storage to the distribution and marking of seeds. The emerging trends and challenges of producing groundnut in the dry season and the underlying environmental concerns in groundnut production were also included in the trainings. 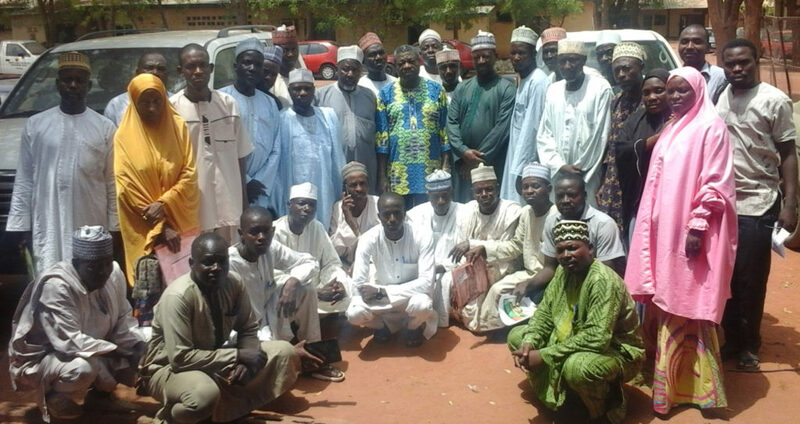 At the end of the training workshop in Kano, Mr Mallam Sanusi Dankowa, the Project Desk Officer of Kano State Agricultural Development Program, appreciated the project and ICRISAT for bringing together extension workers from different states and training them to become better technical advisors to the groundnut farmers in their respective areas of operation. The first workshop was held in Kano city on 11 and 12 April for Kano, Katsina and Jigawa States; the second workshop was held in Sokoto on 26 and 27 April for Sokoto and Kebbi States. A total of 91 extension agents with 64 from the partner Agricultural Development Projects (ADPs), 6 from private seed companies and 21 from partner institutions benefited from the training. Only eight of the extension agents/field assistants were women. All sessions were conducted in the Hausa language by resource persons from ICRISAT-Nigeria. Partners: Institute for Agricultural Research (IAR) of the Ahmadu Bello University, National Agricultural Seeds Council (NASC), Centre for Dryland Agriculture of the Bayero University of Kano (CDA/BUK), Federal University of Agriculture, Makurdi (FUAM), Green Sahel Agricultural and Rural Development Initiative (GSARDI), Catholic Relief Services (CRS), Women Farmers Advancement Network (WOFAN) and the Agricultural and Rural Development Programs of Kebbi, Sokoto, Jigawa, Kano and Katsina. Dr Akinwumi Ayodeji Adesina, President, African Development Bank (AfDB) Group and ICRISAT Ambassador of Goodwill, is the winner of the 2017 World Food Prize. 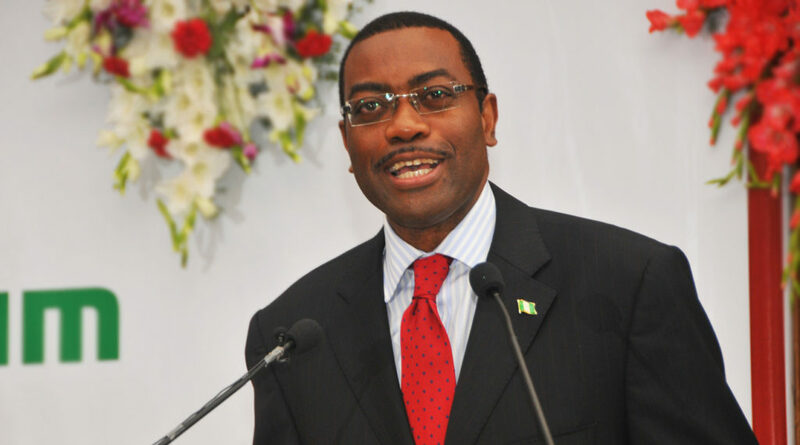 “Dr Adesina has been heralded as ‘Africa’s Norman Borlaug’, and for the past 25 years has passionately spearheaded major policies of comprehensive support for millions of farmers across the continent, including access to financing and credit, access to agricultural technologies such as improved seeds and fertilizers and investment in agriculture from both the public and private sectors,” says the official website. Dr Adesina is the second scientist associated with ICRISAT to win the World Food Prize. Dr Gebisa Ejeta, ICRISAT’s sorghum breeder received the prize in 2009. He was honored for his development of sorghum hybrids that are resistant to drought and the devastating Striga weed. 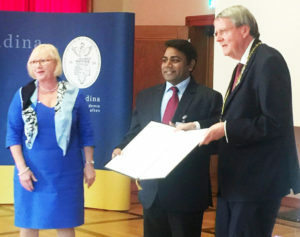 Prof Dr Jorg Hacker (right), President of the German Academy of Sciences Leopoldina - National Academy of Sciences, presents the Fellowship of Leopoldina plaque to Dr Varshney. Also seen in the picture is Prof Dr Jutta Schnitzer-Ungefug (left), Secretary General of the academy. Dr Rajeev Varshney, Research Program Director - Genetic Gains, was elected member of eopoldina, German National Academy of Sciences. The academy elected Dr Varshney as its member in 2016 in recognition of his outstanding scientific achievements. The ICRISAT leadership congratulated Dr Varshney for this prestigious recognition. The Leopoldina is one of the oldest scientific academies in the world (founded in 1652), committed to free science for the benefit of the people and shaping of the future. The Academy had/has several high profile personalities as its Fellows (including several Nobel Prize Laureates). Dr Pandey receiving the Associateship certificate from Prof. Dr Panjab Singh (2nd from right), President of NAAS. Also seen in the picture are Prof. Dr CD Mayee (extreme right) and Prof. Dr Anupam Varma (3rd from right), both Vice Presidents of the academy. 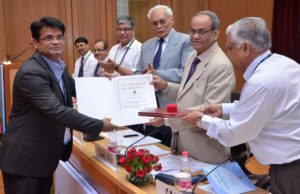 Dr Manish K Pandey, Scientist, Groundnut Genomics, Genetic Gains Program, ICRISAT, was awarded Associateship of the National Academy of Agricultural Sciences (NAAS), India, on 5 June in New Delhi. The award recognizes serving young scientists below 40 years of age, working in agriculture-related disciplines in Research/ Academic Systems in India. This year, Dr Pandey was also selected as member of the National Academy of Sciences (NASI), India, the oldest science academy in India. 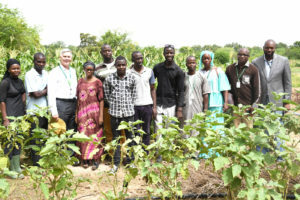 Snapshots of ICRISAT Director General, Dr David Bergvinson’s visit to Mali from 18-24 June. Focus on youth in agriculture, seed systems, rural ecosystems, food processing, nutrition and use of digital technologies in agriculture. Discussions with IER: Transforming the agriculture sector to support young entrepreneurs willing to invest in and apply new innovations to generate incomes; and delivering better nutrition was the focus of discussions with Dr Bourema Dembélé, (third from right) Director General, ‘Institut d’Economie Rurale (IER). With young agripreneurs: Incubatees of Mali Agri-business Incubation Hub (MAIH), ICRISAT-Samanko. At the MAIH food processing unit at IER-Sotuba: This hub has emerged as a model in the region. Meeting seed sector partners in Siby village: High cost of certification, storage costs (rent), lack of access to credit and need for new varieties were discussed at the meeting with cooperative of seed producers in Mande (COPROSEM). Mr Daouda Keita, Mayor of Siby, attended the meeting. The group registered in 2006 with nine members and today over 40 members are hybrid sorghum seed producers. ICRISAT and IER had supported by organizing training on formal seed production, supplying sorghum foundation seed for multiplication and covering the initial cost for constructing a seed store, the labeling and the certification through collaborative projects. Upscaling improved varieties of dryland crops: Syngenta Foundation for Sustainable Development (SFSD), a partner, is keen on testing new sorghum, pearl millet and groundnut varieties across the region – starting in Mali and Senegal. Seed of four sorghum hybrids will be provided and six groundnut varieties will be provided by end of June 2017 for testing. Meeting with the World Bank Group: A group of Private Sector, Trade and Competitiveness specialists from the World Bank Group in Mali, led by Mr Alexandre Laure (third from left), discussed the potential of unlocking opportunities for growth and creating an entrepreneur ecosystem for rural development. Exploring partnership: The Coopérative des Transformatrices de Produits agroalimentaires (CTPA) has been operating since 2003, in cleaning and packaging fonio, pearl millet and sorghum. It is an incubatee of MAIH. The key market constraint this cooperative and many other processing businesses face is the cleaning of the small grain cereals to eliminate sand introduced during harvest and drying. Potential partnership: Danaya Céréales (Dialakorobougou), a growing business for small cereal packaging and MAIH incubatee, faces constraints on cleaning that is costly (machines plus manual labor) and uses considerable water. Access to reliable machinery, servicing and trained staff is a major constraint to growing the business. At the same time, the export market is growing in France with a growing Malian consumer base. 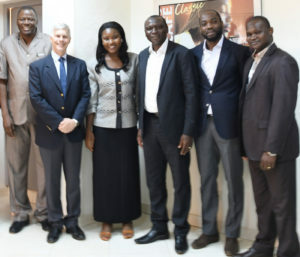 Exploring avenues with Nestle Mali: Nestlé Company: Potential areas of synergies discussed included the nutrition educational program of the Nestlé Nutrition Institute Africa. (R to L: Dr Traore Oumar Sali, Field Operations Manager Nutrition, Savanna Cluster; Mr Landry Echui, Director Finance; Mr Richard Fowang Wamba, Director General, Nestlé; Agathe Diama, Head Regional Information, West and Central Africa, ICRISAT; Dr David Bervingson, Director General, ICRISAT; and Dr Ramadjita Tabo, Regional Director, West and Central Africa, ICRISAT. Working towards aflatoxin-free groundnut products: SAMA –AGRI is a groundnut processor known for its quality and professional packaging. 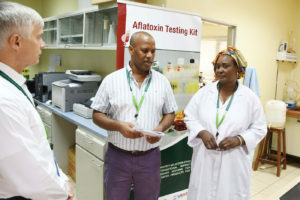 They have established their own aflatoxin lab with ICRISAT support. The company has a representation in Abidjan (Cote d’Ivoire) and is exploring markets for groundnut butter in the US. Future activities could include groundnut oil production. 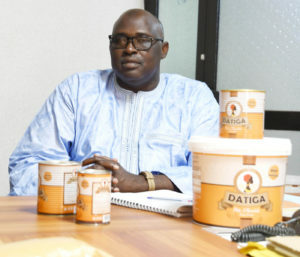 Picture shows Mr Kouma Lassana, President Director General of SAMA-AGRI with his products. Shared human resources: The Office Cherifien de Phosphate (OCP-Africa) is very keen on establishing a presence and strengthening its partnership in West and Central Africa. The company will be posting two agronomists at ICRISAT-Bamako and two agronomists at ICRISAT-Niamey to work together to help scale up targeted fertilizer programs in the region. Assessing the GIS laboratory: The joint Geographic Information System (GIS) laboratory, established in 2000 by IER and ICRISAT has made significant progress with the European Space Agency launch of Sentinel-2. ICRISAT has been working with a team of over 15 students to develop derived products from this imagery using a local server. However, given the size of this data, the usage of cloud computing to develop these derived products that are then downloaded for use and application in Mali is a major challenge given the limited bandwidth and power outages. As a follow-up, the team is looking forward to making better use of 10m2 resolution images from European Space Agency to support ICRISAT work across all it locations. Modernizing ICRISAT’s breeding program for better quality seed support and improved nutrition for consumers, creating jobs for rural youth and entrepreneurs via a growing network of ICT partners both from Africa and India were the main topics touched upon during Dr Bergvinson’s interaction with the ICRISAT staff in Mali. He discussed the country strategies with senior scientists and toured the facilities. 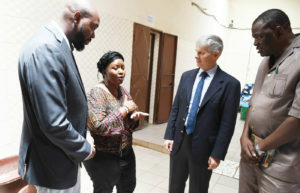 Pictures shows Dr Bergvinson interacting with staff at the pathology laboratory in Samanko. I recently had the opportunity to be part of the Global Open Data for Agriculture and Nutrition (GODAN) 2017 summit in Nairobi, Kenya, from 14-16 June. 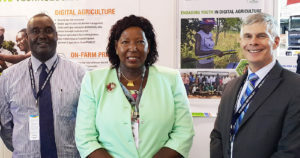 The monumental potential that data has to build resilience for food security, nutrition and sustainable agriculture was evident at this event hosted jointly by the Government of Kenya and the GODAN Secretariat. ICRISAT’s stall at the exposition drew a lot of visitors from different backgrounds and interests. From farmers to researchers, politicians to entrepreneurs, and government employees to business owners; they all came with questions, comments and suggestions. One of the biggest challenges in West Africa Sahel countries like Niger is preventing soil fertility decline and land degradation under growing pressure on natural resources to meet food and animal feed demands. Assessing the perception of farmers and local communities to co-develop solutions for existing challenges is fundamental to ensuring the buy-in and commitment of communities to implement technological solutions and better practices. In the four target regions in Niger (Dosso, Maradi, Tahoua and Zinder), a team from ICRISAT organized individual interviews, brainstorming and focus groups discussions with 600 farmers in 25 villages. Through these engagements, farmers identified the causes of degradation of cultivated lands and expressed their desire to adopt science-backed solutions. Sustainable Development Goals of No Poverty, Zero Hunger and Life on Land. 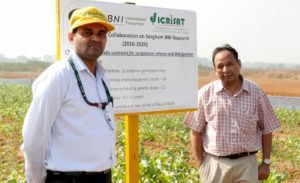 Collaborators Santosh Deshpande (ICRISAT) and G. Subbarao (JIRCAS) in a BNI sorghum trial. A group of scientists from the Biological nitrification inhibition (BNI) Research Consortium, of which ICRISAT is an active member, believe that science now offers an option to boost crop productivity, dramatically reduce greenhouse gas emissions and provide an affordable alternative to farmers’ heavy use of nitrogen fertilizers, highlights the author of a report that appeared this week in the journal Plant Science. On the occasion of our 45th anniversary, watch ICRISAT’s vision for smallholder farmers living in the drylands unfold through these videos.